The ocean covers more than 70 percent of the earth’s surface. What happens in our oceans affects land and vice versa. In the second edition of Ocean Solutions, Earth Solutions, more than 90 ocean and coastal science researchers express their insights by exploring the components of our oceans, as well as their relationships, patterns, and trends over time and space. 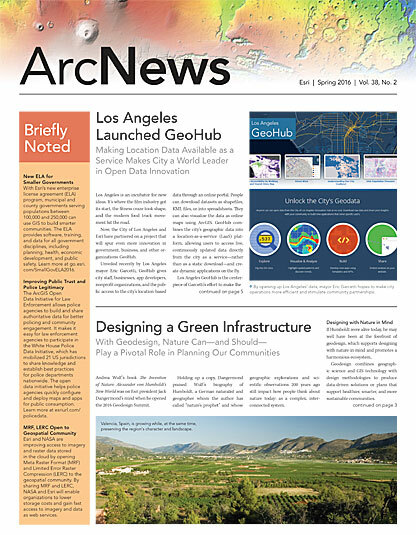 The new edition includes the book’s original 16 chapters (four of which have been updated) plus seven new chapters that feature GIS best practices and additional online resources. 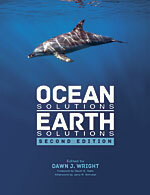 Edited by oceanographer and Esri chief scientist Dawn J. Wright, Ocean Solutions, Earth Solutions, Second Edition, includes a new afterword by Jerry R. Schubel, president and CEO of the Aquarium of the Pacific. June 2016, 500 pp. Paperback ISBN: 9781589484603 and e-book ISBN: 9781589484658.